This week on the podcast we’re joined by an AFL betting expert who has developed a betting model good enough to consistently beat the bookies. 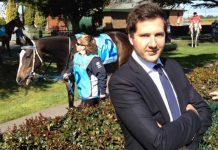 Dan’s love of Aussie Rules football, experience as an actuary and also working with a large corporate bookie set him along the path to being a professional punter and he shares some great information on the show. Dave: I must admit I am more of an AFL fan than NRL, so I can’t wait for the season to start. So tell us a bit about your background, firstly, and how you got involved in betting. Dan: Yeah, sure. Growing up I’ve always been a big sport lover. My old man was quite into the horses back in the day, as well. I guess I had a bit of exposure just to the chat of odds and betting and all how it works from a young age. I guess as most young Aussie blokes do, when I turned 18, I enjoyed having a little weekend multi on the footy with my friends. It wasn’t probably until I turned 21 that I got a bit more seriously into the betting. I was studying actuarial studies and my best friend who I was studying in the course with, he was basically in the same boat. 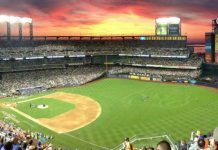 We both loved sport and betting so we started thinking a bit more about using numbers and trying to actually calculate probabilities, in terms of the outcome of sporting events. We got a bit more into it that way and when we finished off our university degree, we actually both worked at a bookmaker for about 1 year, just while we finished off the studies. That definitely was where we got right into the industry and became very much interested in it. Dave: The actuarial studies, it’s a common breeding ground for punters. Do you want to just explain to people who haven’t heard before, what it is and again how that may apply to the betting world? Dan: Yeah, definitely. It is quite a common segue, from what we’ve heard from other people. Basically, actuarial studies is all about quantifying risk using historic data and analysis. In terms of the actual studying side of things, it’s a lot of statistics, a lot of mathematics and it also has quite a heavy finance element. Obviously the main areas that the study of actuary leads to is the banking and insurance industry. In terms of the principles you learn, everything in terms of statistics and analysis and using past data to predict future risks and future outcomes that’s very much applicable to the sporting world and given Champion Data nowadays has so much great data in the market for AFL, there is high quality data that we can use to then try and predict future outcomes. Dave: So you were doing the actuarial studies and also working at a bookmaker. Was it good to get that hands-on industry experience? Dan: Oh, definitely. Before we went to the bookmaker, obviously we had some sort of idea about betting and how it all works but to actually go to the bookmaker and see the big bets come on, see how the market moves, see how the market is shaped, see what teams are public teams where you might see all of the game day small bets on one team who’s quite a popular public team but then the largest customers are betting on the not so popular public team. Just understanding how books are balanced, risk exposure and how everything tied together was definitely really interesting to see and is still valuable today, when we’re on the punting side of things now. Dave: Regarding the punting side of things, you’ve developed an AFL model. How has that come about and how has that evolved over the last few years? Dan: It’s probably been a 3 year process to get it where it is today. It pretty much started with … At University we had a bit of Excel experience and learned a bit about coding. Basically we wanted to start trying to use statistics to apply to our betting, so we thought the first thing we need is data. The first step was learning how to scrape data from the web, so you can get a lot of historical data without manually copying and pasting it. That wasn’t too difficult and once we had data it was probably a solid 6 months to a year where we were betting small amounts and having a play around, but we were still just figuring out how to work the data into a good format for a model, and actually how to produce a prediction using the past statistics. I’d say the first year it was very primitive and we were betting accordingly, not getting too involved in the punting side of things. Once we got some experience at the bookmaker, learned a little more, we developed a pretty decent model which basically was using past match data for each team who were playing on the weekend and then based on that past data, the model basically predicts an outcome for the game on the weekend, which you’d then adjust for a home ground advantage. That model had pretty good results, but then this off-season and during last season we spent a lot of time enhancing the model with the player ratings component. Instead of just using team data, we now use individual player data, as well. As you know, with injuries teams will be changing from week to week, so that’s the big improvement over the past year, that’s kind of got the model to where it is today. Dave: So with the player ratings, how far back do you go and how heavily do you weight recent form or injuries, return from injuries or anything like that? I understand why you’d want to incorporate the player ratings into the model, but it probably adds a few layers of complexity for you, as well, so how do you handle that? Dan: Yeah, definitely. Basically, the first thing we do is … We use 3 years of data, for players, because we feel that’s enough and going back any further you might be rating someone a bit highly, who was in the prime of their career 5 years ago, but they might be on the decline now. Generally, we get 3 years data if it’s available. Obviously for the younger players, we’ll take what’s available, whether it’s 1 or 2 years. Then, we have a player rating for each of their seasons and that actual player rating is a unique equation we developed and we did that for each position. There is a different player ratings equation for midfielders, defenders, forwards and ruckmen. That equation is based on the player’s average game statistics. For midfielders it looks at … Just a few of them would be contested possessions, inside 50 entries, goal assists and stuff like that. Each of those different statistics carries a different weighting and basically, a players rating for a season will be what they averaged in each game for all of those statistics and then the equation is applied to that number. Then, we basically have a players rating for the past 3 years and then it’s a pretty unique player-to-player decision on how we give them a final number. With your kind of veteran players who are pretty consistent year in, year out, you might weight the past 3 years pretty equally, with a bit more emphasis on maybe last year. With rookies and younger players who’ve only played a few games, you obviously just take what data you have and you update it each week and week-to-week their rating might change quite a lot. And, as you mentioned, players coming back from injury, usually we’ll give a slight deduction for those players, just until they actually prove that their form is up to scratch to what it was before the injury. Basically we rate every player on every roster for every team. That enables us to be able to calculate a team rating each week, once teams are released on Thursday night. Dave: Do you find the market normally underreacts or overreacts to team changes? Like, if Gary Ablett is not playing for Gold Coast, or Buddy Franklin’s not playing for Sydney, how does your model compare to what the market actually does when a key player is out? Dan: Yeah, definitely a good question. We’ve benchmarked player injuries where it’s a superstar like Ablett or Franklin, we find that the market reacts quite aggressively, and in some cases that’s rightly so, but it also depends on the replacement factor. It depends on the depth of a squad. If you have a team like Hawthorn and they have an injury to one of their good midfielders, they probably have a pretty good player coming in to replace him so our adjustment might not be that great, because the bloke stepping in is not too far behind him, in terms of player rating. Whereas, if you have Ablett, maybe 2 years ago up at the Suns when they were still very young and developing, when he’s out, the bloke coming in is probably of a rookie status or quite a low player rating. In that case, those big moves are often justified. Last year we found the most value, just in terms of general personnel changes. Not when the best player was out, maybe when 3 players were out who were in their squad every week, and there quite good players, above average, in terms of an AFL standard. Then the 3 replacements coming in could have been rookie or below average AFL players, so you could actually see … We might adjust just as much for if one of the superstars was out in those instances, but we believe the market really doesn’t adjust in situations like that, so that’s where we often find the value. Dave: In terms of the efficiency of the market, as a general rule, the more liquid the market, the more efficient that it is. How do you find AFL and what kind of return do you think is realistic for what the model can achieve? Dan: The AFL market is framed in an interesting way. 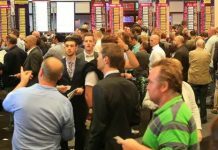 On a Monday you’ll get some of the corporate bookmakers opening up their first lines, but realistically it’s not reasonable to expect to be able to get a bet on at some of these shops, because as I’m sure everyone knows, once you start winning, plenty of the corporates will be quick to cut off your account. 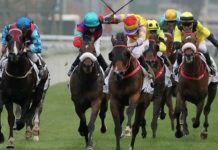 Generally, we find that you’re not going to be able to get a proper bet on until probably Thursday, which is when Pinnacle is open, when TAB, when Tatts, when TopSport, which are generally the bookmakers who are more willing to accept a bigger bet. 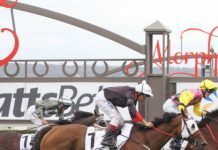 When they’re open on a Thursday, we find that’s a reasonable time to enter the market, and it’s a reasonable time for people following to be able to get on, whether they’re a $100 punter or a $1000 punter. In terms of the efficiency on a Thursday, we definitely don’t think the market’s hit its optimal level of efficiency. Last year you’d see, on a Monday, the lines are often pretty bad. There’s a lot of value there but the problem is you can’t get a bet on. Come Thursday, they’re often still quite inefficient. In terms of our model, last year we were still able to beat the closing line on a Thursday for line betting about 70-75% of the time, I think it was, and we were beating it by about an average of 2 or 3 points. Basically that means we were betting and getting a number that, by game day, the market had moved towards our bet 3 points, which obviously is an indicator that you’re tipping the right side. Dave: A few serious sports punters use that as a key indicator don’t they? The results of the game can have a fair bit of variance, but if you’re actually beating the closing line more often than not and you said basically 3 times out of 4, that’s a really good sign that you’re on the right teams. Especially with the AFL. If you can get in on a Thursday, there’s still some really good numbers out there. Last year there was several instances where we beat the closing number by 5 and even 10 points or more sometimes. You could have a situation where you have $1.90 and that same proposition on game day is into about $1.50. 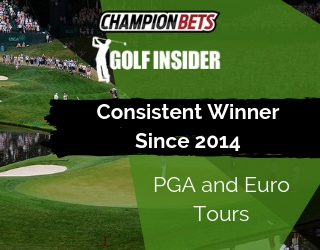 If you can consistently do that, you’re definitely going to be in the green at the end of the season. Dave: I’m not sure how much detail you want to go into here, because you can’t guarantee there aren’t bookmakers listening. In fact, I’d probably guarantee there are some, but in terms of incorporating weather conditions into your bets that’s something that you take very seriously, and you think can provide an edge? Dan: Yeah, definitely. The weather definitely plays a part in line betting. The particular one we find that we want to be careful of is, we don’t really want to be betting on a big minus, so a big favourite to cover a 50 point margin if it’s going to be wet, because obviously with AFL when the ball is wet the game can turn scrappy and it’s often quite low scoring. The last thing you want to do is be betting on a team to smash someone by 10 goals when it might even be hard for them to score 10 goals in the whole match. You can find an edge in that way, in terms of betting on the plus, on occasion, but not always. Obviously you still want to make sure you actually like the team you’re betting on. The big place we find value with the weather is on the totals. Basically, when it’s wet, the ball’s hard to handle, it gets slippery, it’s harder to kick accurately at goal. Obviously the total for the game is going to be a lot lower. In our model we can actually weight for the past 4 or 5 years of data, wet weather games, to try and actually quantify the impact of the wet on a game, rather than just take a guess, “Oh, it’s going to be wet, we’ll take 10 points off our number”. We actually have a way to weight the wet games and see the actual impact on all of the different statistics and thus predict our revised total. Basically, the way we get an edge is obviously taking unders in the wet, but we find we can get good numbers if we have a good read on the weather early on game day. We can get the tip out before the market has properly adjusted to the weather. I think last year there was probably 7 or 8 examples where we got a really good number on a wet weather game. We bet on an under and it might have dropped another 5 or 10 points by the time the game started and it most cases they came in comfortably. Dave: There’s a fair bit of work that’s gone into the model, and then obviously it’s evolved over the years, but when you put all that together what’s a realistic winning percentage to expect? Dan: Basically, in the long term we’re aiming to get it around about sort of 57 to 58% number. Which in turn will give us around 8 to 11% on the $1.90, $1.91 lines that are widely available for the AFL. 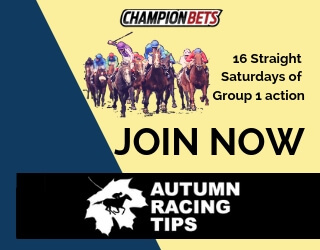 Obviously the smaller punters can even increase that return if they can utilise some of the promotions out there, like $2 power lines that Topsport and a few of the other bookmakers have and can give that ROI a bit of a boost. Dave: And one of the things I didn’t ask you, was actually why the love for AFL? You’re Sydney based, so how did that passion for AFL came about? Dan: It’s a bit of a strange one I guess. Just growing up it was my preference and I played a little bit of AFL along with soccer. I was probably never tough enough to play rugby league or the rugby union, so I never quite got right into them. I like it just in terms of the viewing, I think it’s definitely the best game with the skills and all the different elements to it rather than, I find that rugby can be a bit bash and crash at times. Definitely love the AFL and I’ll definitely be down in Melbourne a few times this year to get to the MCG for a few of the big games. Dave: Lucky you. All right mate, we’ll leave it there for now. I think it’s given guys a good overview of how you’ve gone about it and there’ll be plenty more information on the site in coming weeks. All the best for this season. Dan: Yeah cheers Dave, we’ll chat soon.